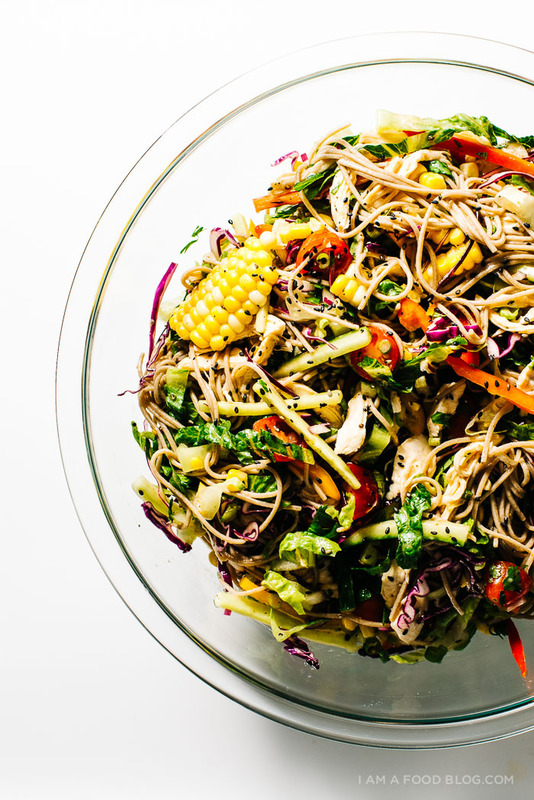 Cold noodle salads are my go-to when the sun is hot and the days are long. 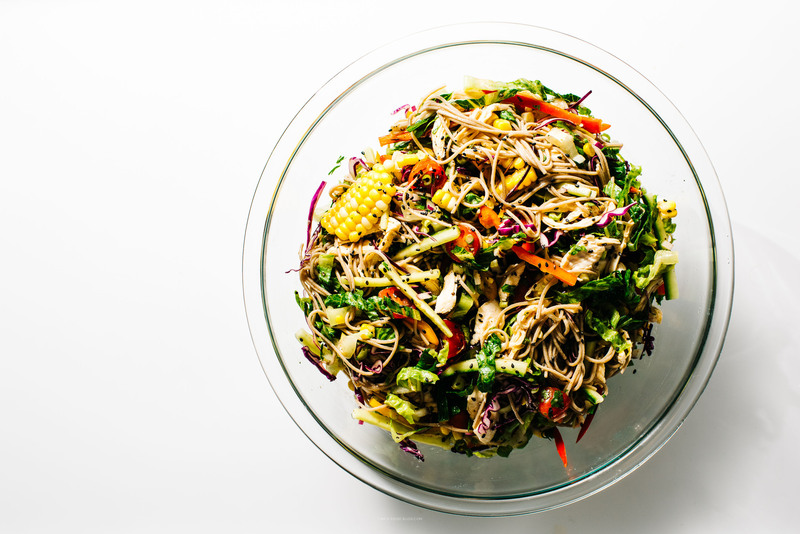 You don’t need to turn on your stove for very long to make this: just a quick boil of soba noodles and you’re good to go. Toss that tangle of noodles with summer vegetables and a slightly spicy, vinegary dressing and you’ve got a huge bowl of salad that you can eat morning, noon, and night! Cook the soba according to the package and rinse throughly in cold water. Drain well. Whisk together the dressing ingredients, taste and season accordingly. Toss together all of the ingredients, taste and season if needed. Enjoy! asian pasta salads are my fave! my aunt used to make one with somen, kamaboko (fish cake), lettuce, scallion, char siu, scrambled egg and a dressing super similar to this one. I definitely want to give this a go! It looks delicious and I love cold salads like this! Alllllll about these kinds of salads! This one sounds INCREDIBLE. Love love it! 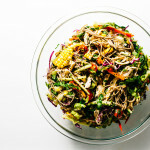 Love the dressing you used here because I’m getting a little tired of the peanut sauce dressings on soba noodles. I loved peanut sauce for a long time, but I’m ready to move on. love this so much..all the colors! we’re always served up gloppy pasta salad in the summer, so this sounds like the perfect way to celebrate all of summer’s beautiful bounty in a light and fresh way! xo! Totally trying this out!! Colorful and a perfect summer dish! I live in central Florida, where it’s like a quatrillion degrees and 90% humidity, and eating hot meals can sometimes seem majorly unappealing. I made this for dinner last week, and it was So. Refreshing. I love that it can be prepped a couple days ahead of time, too. Simple! Veggie-packed! Flavorful! Brilliant. I’ve made this recipe at least 5 times. I love it! So tasty!! Hello, do you toast your own sesame seeds or buy them like that? In the photo they look like black ones?